The blueprint for your treatment is built around teamwork between you and your Physical Therapist/Trainer (PT/T). In our one-on-one innovative approach, we promise to give you the proper motivation, education, equipment and time to rebuild and elevate a quality for your life. Professional Experience: Panel member and presenter for Youth Sports Day of Arizona, evidence-based practice presenter for APTA, arizona chapter. Sports Medicine Clinic, Orthopaedic Screening for Oakland A’s, Sports-Specific Training Coach for High School Athletes in Scottsdale. Why are you a PT? As a former athlete and cancer patient, I have the opportunity to connect with my clients on a far more intimate level having faced the challenges of recovery. Physical Therapy is an extremely rewarding role in the healthcare arena. My passion for coaching, educating, motivating, and treating patients allows for faster recovery and the desire to elevate quality of life. Professional experience: Worked in fast-paced pediatric and orthopedic outpatient clinic, focusing on work with athletes and orthopedic pediatric patients. Why are you a PT? I love helping patients find a way to move well and return to activities they love doing to maintain their health. Why are you a PT? When patients realize that they can be pain free in activities or do things they never thought possible, they feel inspired and motivated. Why are you a PT: It was a great way to merge my interest in human performance and sports medicine. Working as a PT aide I found it very rewarding helping people through difficult moments in their lives, and enjoyed the relationships that developed from consistent care. Why are you a PT? Being a product of the foster care system as a child, I watched intently and felt overwhelming emotion when I saw other kids, parents, siblings, and grandparents struggle; emotionally, physically, socially. I wanted nothing more growing up than to literally reach out and help somehow. When I found PT, I realized this was my calling. This IS my reach. Professional Experience: Over 2,000 hours of education, established 16 years of working in Arizona's massage therapy health and wellness industry. Experience serving in private practice, premier resort spas, local community clinical rehab and chiropractic experience. Why are you a PT? As a collective we continue to learn and rewrite what we know about the mind and body. Likewise both ancient and new promising therapeutic modalities are always on the horizon to learn and expand my approach in my massage practice. I love to work with individuals needs and physical goals, sharing in the wonder and excitement that is possible to shift our life experience in health." 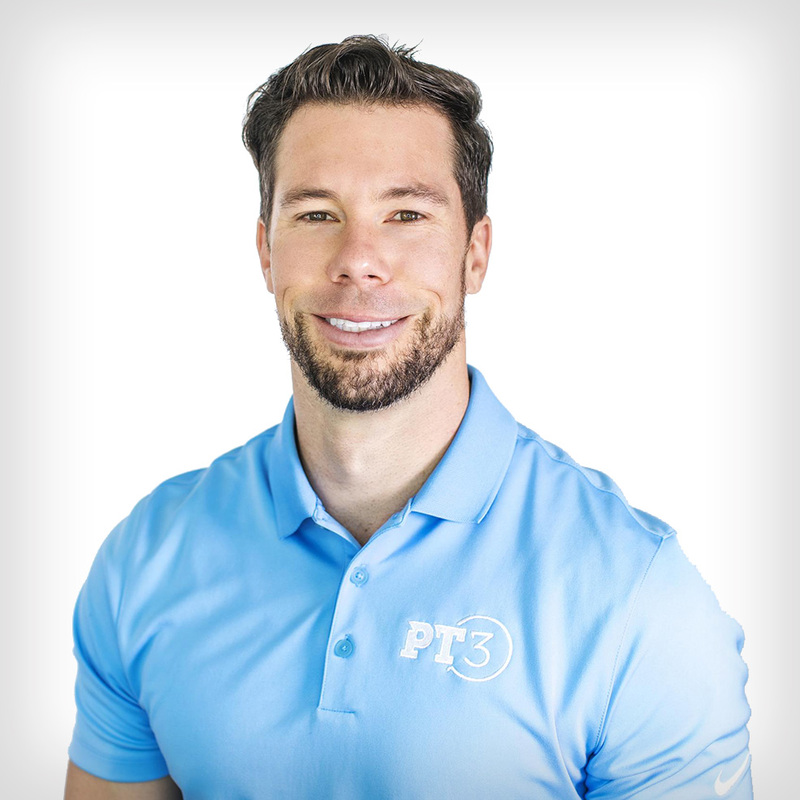 Professional Experience: Having 8 years experience working in the PT environment and specializing as a Wellness Trainer,Grant has enjoyed guiding people with successful health and wellness transformations. Grant is experienced working with athletes to seniors striving for new and exciting goals. His skills have developed in China where he traveled working with other DPTs, and specializing in Qi Gong using holistic energy healing. Why are you a PT? Experiencing stage 4 cancer, Grant composed a combination of personal training, nutrition, and Qi Gong healing approaches, to catapult his recovery as a cancer survivor. He incorporates these practices not just personally, but with clients working alongside the PT3 team. Professional Experience: 5+ years of work experience as a traveling therapist, contractor and clinic consultant. David has experience in acute care, outpatient orthopedics, home health, pediatrics, long term care, acute rehabilitation as well as sports performance settings. Why are you a PT? Physical Therapy is my form of service to others. Restoring someone’s physical capacities is a powerful way to empower them to live a more actualized and fulfilled life! Why are you a PT? Well I’m more about the 3 in PT3. While I can’t provide the physical therapy or the private training, I hope to help with the Personal Touch. After working with clients of my own, I’m excited to be able to help this very talented group of PTs enhance the quality of life of their patients. Why are you a PT? Bo joined the PT3 practice to coordinate the day to day operations. He is a certified personal trainer who assists in various PT3 protocols. He is also a certified Arizona State EMT and ran 911 calls for three years. Bo enjoys the "great outdoors" and participates in triathlons around the state of Arizona every year. Bo’s goal is to give behind the scene support to the PT3 team and help provide a positive patient experience.